Reaction among San Diego County lawmakers and leaders to the U.S. Justice Department’s lawsuit against state laws protecting immigrants in the country illegally was mixed Wednesday, with Republicans generally praising the move and Democrats criticizing it. 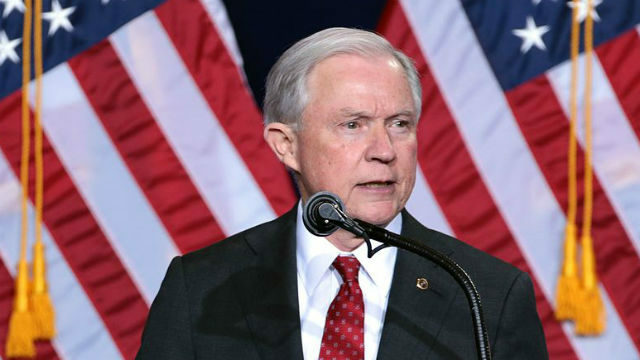 Attorney General Jeff Sessions announced the suit Wednesday at a meeting of the California Peace Officers Association in Sacramento. “In recent years, California has enacted a number of laws designed to intentionally obstruct the work of our sworn immigration enforcement officers — to intentionally use every power it has to undermine duly established immigration law in America,” Sessions said. Upon news that Sessions was announcing the lawsuit in California, Gov. Jerry Brown immediately characterized it as a “sad” political stunt. “At a time of unprecedented political turmoil, Jeff Sessions has come to California to further divide and polarize America. Jeff, these political stunts may be the norm in Washington, but they don’t work here. SAD!! !” Brown said in a tweet. Sen. Toni Atkins, D-San Diego retweeted Brown’s message, and other local officials had a similar take. “The U.S. Attorney General travelled to California today with the purpose of forcing us into compliance with the xenophobic and anti-immigrant agenda of the Trump Administration. We will not,” Assemblyman Todd Gloria, D-San Diego, said in a statement. “California’s pro-immigrant policies are not radical, they’re right. Protecting California’s immigrant communities is not extreme, it’s doing our job as public officials to keep our residents safe. “If the federal government is truly concerned about immigration, then I would invite the President and Congress to do its job and pass comprehensive immigration reform that provides a pathway to citizenship instead of vilifying immigrant communities. “I have every confidence in California Attorney General Xavier Becerra and I stand with him and with all of our immigrant neighbors as we fight for our State. We will fight this, and we will win,” Gloria’s statement read. Dr. Robert Moser, executive director of Catholic Charities of the Diocese of San Diego, also issued a statement in support of immigrants. “Regardless of the harsh political rhetoric emanating from Washington, it is important to remember that immigrants do have rights and agencies such as Catholic Charities will continue to advocate for and stand with eligible immigrants to maintain those rights,” he said. But Rep. Darrell Issa, R-Vista, supported the lawsuit.